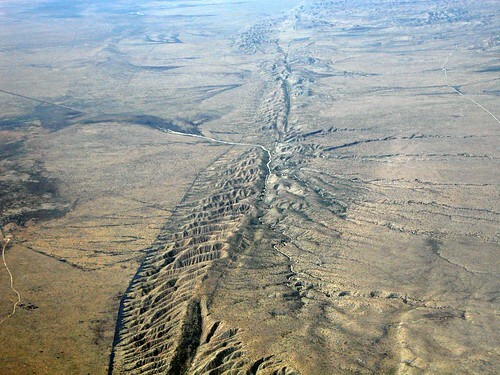 The San Andreas Fault, on the Carrizo Plain. Note the stream offsets. This is in Carrizo Plain National Park, which comprises the westernmost of the Southwest deserts in the U.S. To the West, on the left, is the Pacific Plate. To the East, on the right, is the North American Plate. These are two of the largest tectonic plates on Earth. 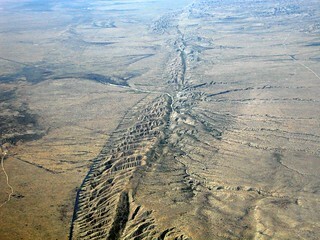 The Pacific plate is eight to nine thousand miles across and weighs 345 quadrillion tons.